Here’s a quick and easy Moringatein smoothie recipe with all of the incredible health benefits of coconut milk, coconut water and coconut oil and banana. 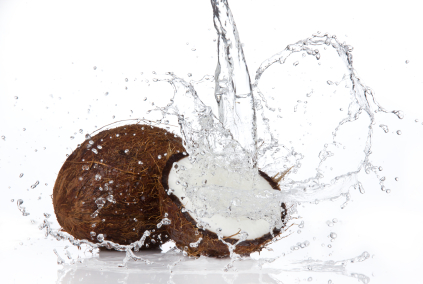 Coconuts are delicious and nutritious, but they are also a great source of fiber and amino acids. Coconut milk is a great source of minerals, including iron and potassium and it is also a rich source of important vitamins like niacin and folate. Coconut water is loaded with electrolytes and promotes heart health, the health of the immune system, your metabolism and it is a great energy source. Coconut oil contains lauric acid that converts into monolaurin which has anti-protozoa, anti-viral and anti-bacterial properties. Bananas are a very nutritious and wholesome fruit eaten for it’s convenience, taste, texture and quick feeling of fullness, but even more so for their much known health benefits, and sweet and delicious flavor. They are packed with great nutrients such as vitamin B6, vitamin C, manganese and high amounts of potassium. Blend on high until smooth. Serve chilled. Sprinkle chopped coconut pieces on top if desired. How Much Would You Have To Eat To Equal A Moringatein Smoothie? Moringatein is loaded with healthy nutrients including protein, antioxidants, vitamins, fiber and so much more. 25% of your daily amount of Vitamins A, B6, B12, C, E, and K just for starters. 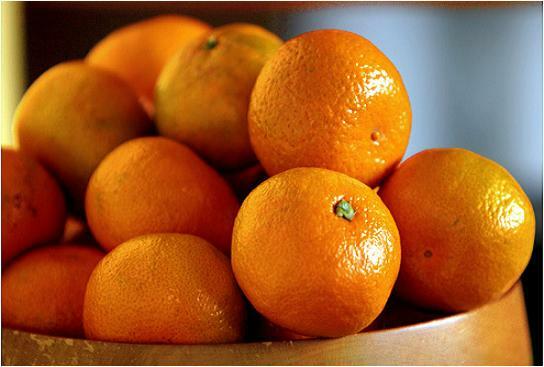 You would have to eat almost a whole banana or boiled sweet potato to get that much Vitamin C. To get this same amount of Vitamin A, you would need to eat a mandarin orange. 25% of your daily amount of riboflavin, iron, thiamin, folate, biotin, niacin, iodine, chromium, zinc and selenium. Wow! 30% of your daily amount of pantothenic acid and manganese and 35% of calcium. Moringatein has 3 grams of dietary fiber in each serving. You would have to eat almost an entire orange, half of a banana or one cup of raw broccoli to get the same amount of dietary fiber that is in one serving of this incredible smoothie. It also has 90 calories which is about the same amount as in a pear, three ounces of cooked quinoa or an entire medium to large sized raw apple. So what would you have to eat to equal one serving of Moringatein – an excellent source of dietary fiber, protein and vitamins and nutrients for your entire family? A lot! I am really into health and I have learned the importance of eating high quality protein and natural whole foods, but it’s not always so easy to accomplish. One of the most functional components of my daily routine has been experimenting with drinking protein smoothies, mainly as a mid-morning or mid-afternoon snack. I have a very busy schedule with several kids in several schools in a multitude of sports and I used to joke that I wished there was some magic smoothie that would be like a real meal. I’ve been making ALL KINDS of protein powder smoothies for about 10 years and experimenting with the different protein sources and recipes. I used to try to create my own smoothie “meal” that could act as a true meal replacement drink, but something always wasn’t quite right…..the protein powder would clump up and you pretty much had to drink it right away or it tasted bad. I tried adding vitamin powders to it to complete it nutritionally and they tasted terrible, and so on. Trial and error….mostly error. I gave up on them tasting good. Well, surprise surprise…..along comes Moringatein! I recently started drinking at least one Moringatein smoothie each day. At first it was hard to get used to the idea of drinking it as a meal, but once I did, I could really feel the energy boost and it was so easy to not skip breakfast. It tastes delicious by itself, but I have been adding frozen blueberries and bananas and it is really tasty and easy to drink. I’ve also just mixed a scoop and some water and ice in a shaker cup when I’ve been in a hurry and it still tastes great. It’s incredibly convenient in moments where I haven’t planned well and need to eat. The main thing I’ve noticed is I have lasting energy after I drink one. It’s wonderful! Are you looking for a delicious recipe to blend up? Two great smoothie ingredients are blueberries and bananas. They taste great, but they are also very nutritious. 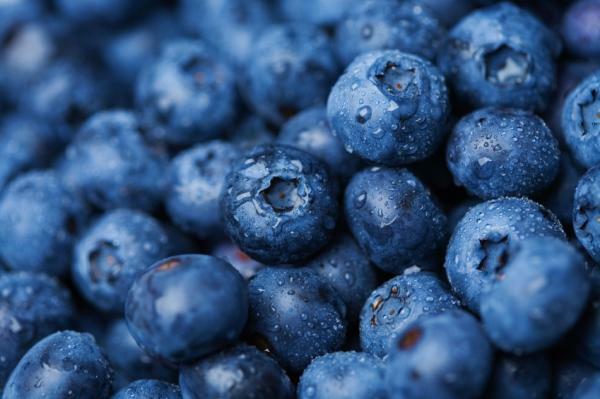 Blueberries are very popular, not only because they taste delicious, but they are extremely good for you. They are power packed with antioxidants, they are low calorie, they support bone health, are high in fiber, support heart health, cancer preventing, they have a relatively low to moderate Glycemic Index and eating them can even prevent urinary tract infections. They are easy to store frozen and convenient to add to any protein smoothie. Bananas are natural sweeteners, loaded with potassium, and they contain vitamins B6 and C, magnesium, folate, manganese and they are a great source of fiber. They contain virtually no fat and act as a natural antacid. They are easy to store frozen as well, just ripen to desired sweetness, peel and cut in half then freeze. They are also easy to add to any protein smoothie. Here is a delicious, easy and very nutritious Moringatein smoothie recipe that contains the health benefits of both blueberries and bananas. Blend on high until smooth. Serve chilled. When it comes to making a healthy smoothie, there are many different types, from a sweet milkshake type to a thicker green one….it’s all a matter of taste and your cravings at the time. Adding Moringatein to the mix completes it as a full meal replacement smoothie. Enjoy testing out all kinds of fun and interesting recipes. You can use unsweetened coconut or almond milk as a base instead of water, blend it with ice or frozen fruit (keep some frozen and ready to go) to give it the texture of a milkshake, and also add fresh fruit as well, yogurt, peanut or almond butter, almond or vanilla extract. Another healthy blend is as a “green” smoothie by adding avocado, kale, spinach and even cilantro. Add just a bit of apple to get a slight sweet taste. Get a little creative and incorporate a tablespoon of a healthy fat like coconut oil or chia and flax seeds to get those much needed Omega 3 fatty acids. The possibilities are really endless with such a delicious blend like Moringatein, that all by itself with just water tastes delicious and is a full meal replacement. Create your own yummy recipes to satisfy the taste buds of your whole family! Teach your kids how to make them and it will be the best after school snack ever or perfect for drinking before school. You’ll know they are getting everything they need. It’s a busy life and our families keep us going at a fast pace most days. We are always looking for ways to simplify our lives, have less stress, eat healthier and improve our lifestyle. We can all benefit from the nutrition, ease and convenience of a delicious meal replacement like Moringatein. It’s as simple as just adding water! Your kids will love the taste and with the added nutritional power of Moringa leaves and the unique time release blend of proteins, they will power through their day. For Mom and Dad it’s perfect to drink in the morning commute or as an easy snack mid day or mid afternoon. There’s nothing easier or more power packed to help you through a slump to keep up with your kids’ homework, sports and schedules. Moringatein is the perfect solution for busy schedules because it is a full meal replacement loaded with nutrition, healthy proteins that will digest at different intervals to sustain you that include all of the essential amino acids, plus a complete source of nutrients that you need with more than 17 different vitamins. You can easily feel sluggish from being even slightly dehydrated, so this is another great way for your family to get their fluids. An added bonus is it is also a great source of daily fiber. Get your Moringatein boost today!